Basildon Wildlife: 1969-1970, published 1971. 70 pages. A bold statement of what had been observed and discovered by that early stage in the Society’s existence. Includes sections on birds, Pitsea Marshes, flora, trees, animals, badger survey, butterflies, Hawkesbury Bush Conservation Area, pond life. 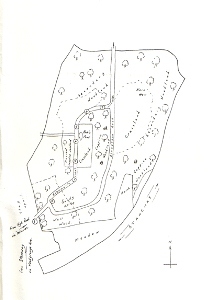 The Natural History of Basildon, published 1974. 104 pages. 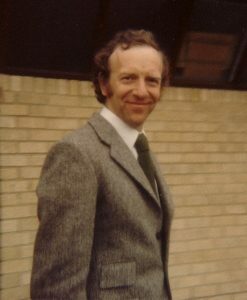 An important update on the 1971 publication, with several new sections: geology and soils, fungi, lichens, moths. Contributions from ten specialists. 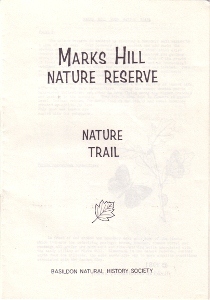 Marks Hill Nature Reserve: Nature Trail, published by the BNHS in 1981, with material support from the Basildon Development Corporation. 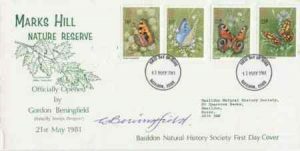 Marks Hill Nature Reserve First Day Cover, signed by the artist Gordon Beningfield and featuring the butterfly stamps designed by him, when he officially opened the reserve on 21st May 1981. 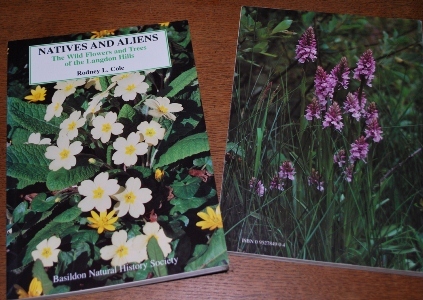 Natives and Aliens: The Wild Flowers and Trees of the Langdon Hills, by Rodney L. Cole. Published by the BNHS in 1996. ISBN 0 9527849 0 4. 204 pages. Price £10. Chapters on the history of the landscape and the varied habitats on the Langdon Hills are followed by details of the very varied vascular flora, which includes a quite remarkable number of rare and localised species. This book was well received within the county, and the author was declared the winner of the Essex Book Awards 1996/7, which among other things generated £200 for the BNHS. The book is out-of-print, but available used online. 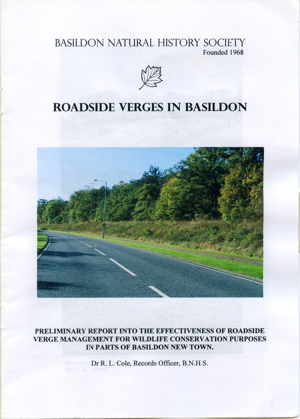 Roadside Verges in Basildon: Preliminary Report into the Effectiveness of Roadside Verge Management for Wildlife Conservation Purposes in Parts of Basildon New Town, by Dr. R. L. Cole. Published by the BNHS in 2010 and distributed to all members, plus all members of Basildon Council. The report can be viewed here. © Basildon Natural History Society. Registered charity number 286117. Designed & maintained by Freddy Heppell.